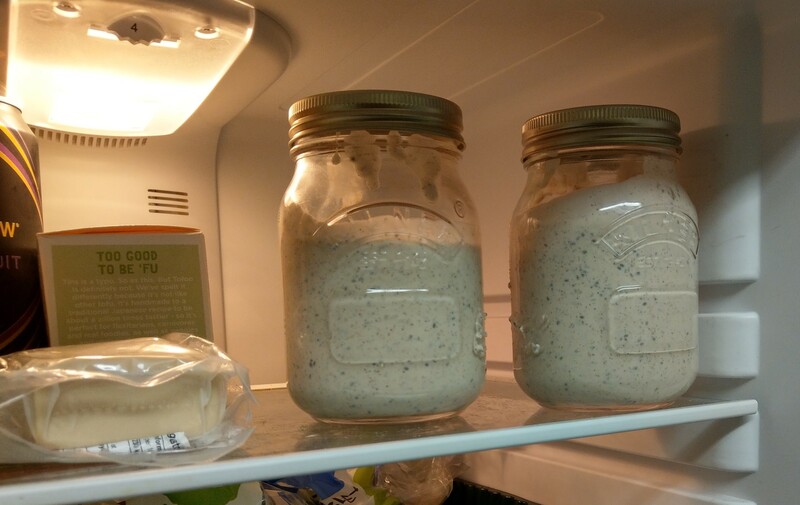 I’ve been looking at all the overnight oats phenomenon, which is great though it usually contains nuts, seeds and lots of fruit which is great for some people, unfortunately I’m not some people. My son, Ross loves these puddings and is my offical taster of my creations in the kitchen. 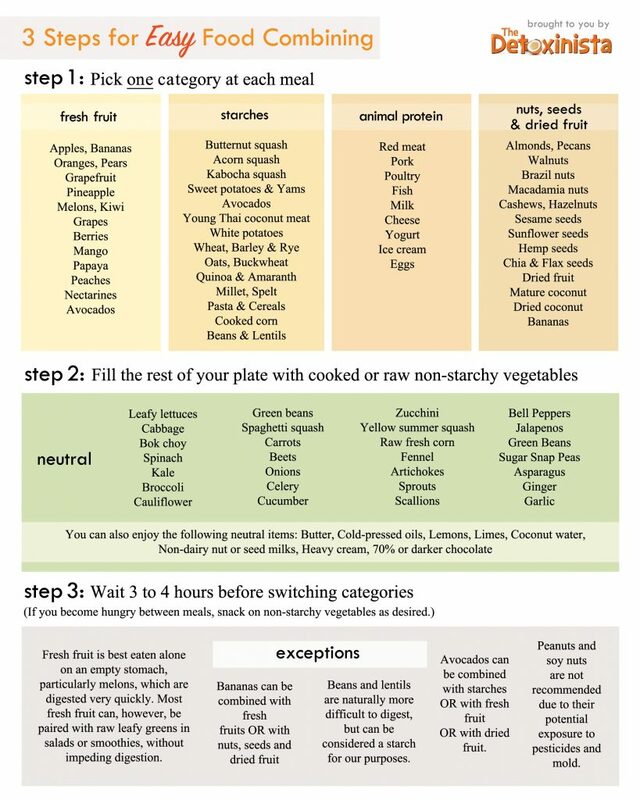 So I started a few years ago experimenting with food combining and I like the way I feel because of it. 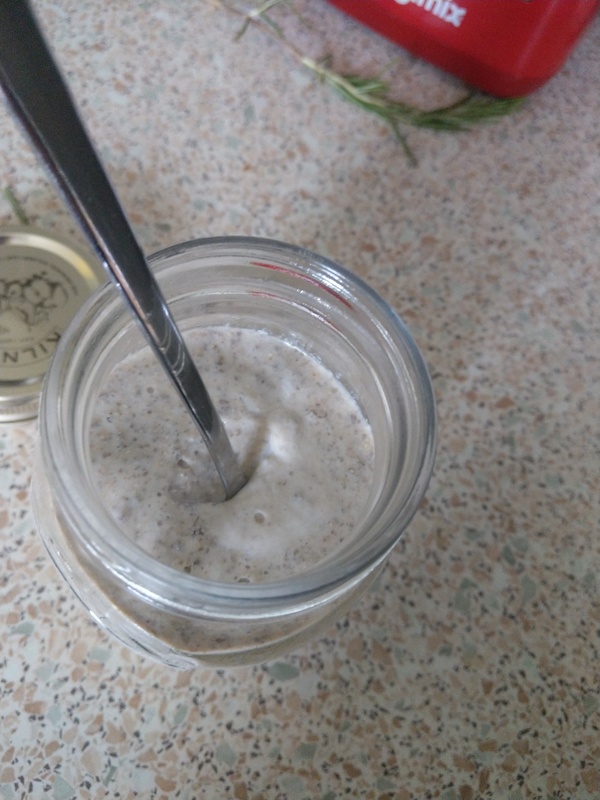 So onto the recipe, this is a seedy, protein recipe with a little bit of banana and plant milk – lemon and vanilla essence. Very easy overnighty thing going on. It’s a snack pudding with no refined sugar. It also tastes yummy! Chia seeds are rich in fibre -(helps you feel full and great for your healthy digestive system & colon). 25g = 9g of fibre. 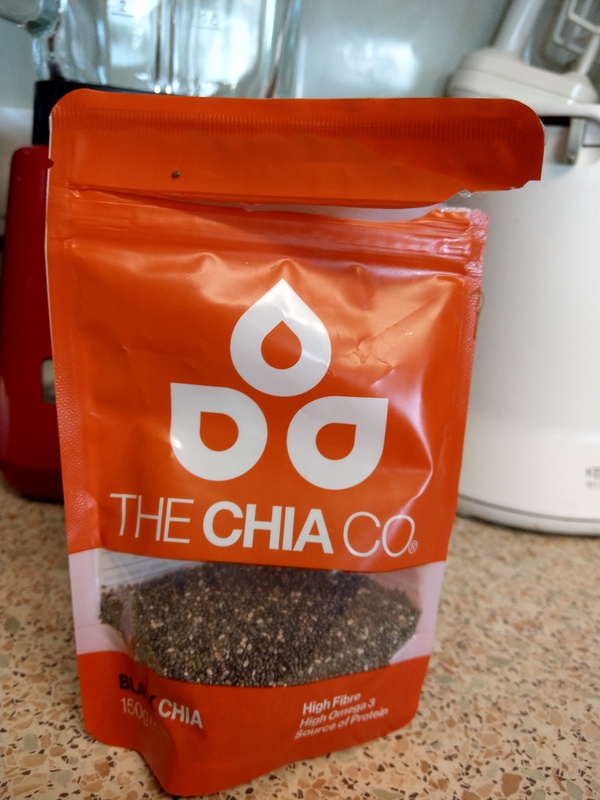 Chia seeds contain Omega-3 fatty acids are known for their anti-inflammatory effects, Chia seeds are also relatively high in protein and provide a range of amino acids, good for vegan diets. The combination of fat, protein and fibre means the seeds are digested relatively slowly, providing long, slow release of energy to keep blood-sugar levels stable. Chia seeds are rich in minerals such as calcium and magnesium and trace elements such as manganese, which helps make enzymes in the body. Handy little seeds! The seeds can be bought from health food shops and supermarkets. Add all the ingedients to the nutribullet and blend for 30 seconds. 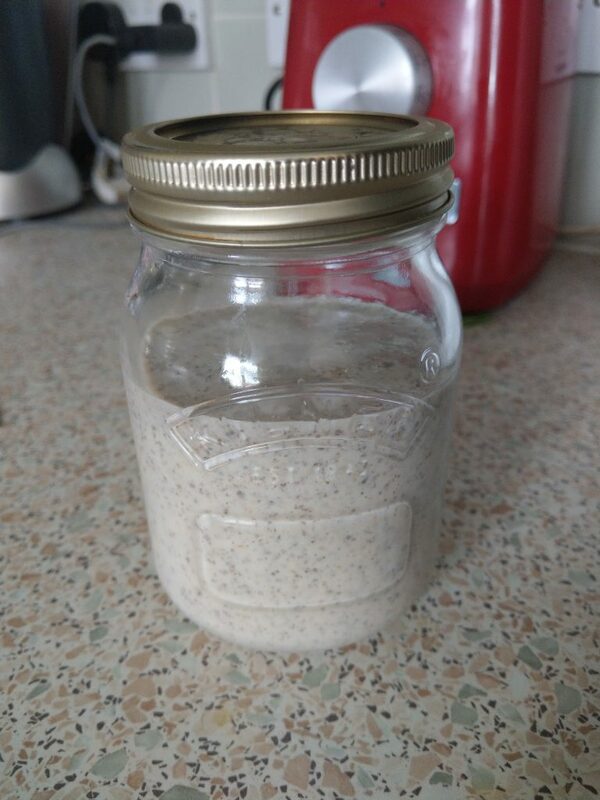 Transfer to a glass jar (you can use any container with a lid) and pop in the fridge overnight. I’ve never left them more than 24 hours as they get eaten pretty quickly in my home! Experiment with add more or less lemon, vanilla essence or plant milk. You could try spices like ginger or cinnamon to ring the changes. It’s a versatile recipe so see what tastes good to you.